Is Vector Marketing a scam? Nowadays, this is a question asked by thousands of people around the world. Fierce debates are raging on various forums on the Internet over authenticity of Vector Marketing and its alleged techniques. The reputation of two major firms is at stake as protagonists and antagonists of Vector Marketing engage in verbal duels. Therefore, this article is aimed at clearing air on both sides of the fence and removing doubts of all stakeholders. As mentioned earlier, ambiguity whether Vector Marketing is a scam or a legit scheme persists since long. While die-hard supporters testify it is legit, thousands of people insist Vector Marketing is indeed a scam. Therefore, what we present are excerpts from websites of Vector Marketing, its principle Cucto Corporation and arguments by members of the public. Vector Marketing calls itself: “…the company that sells Cutco Cutlery. Our people are diverse and fun (85 percent of our sales force is college-aged) and they love representing our world-class kitchen cutlery. True, many of the people we work with never once thought about kitchen knives before they met us. But, they catch on quickly. The company’s website further states: “Vector Marketing is a single-level direct sales company that sells Cutco. Early in Cutco Cutlery Corporation’s history, there were hundreds of small independent sellers of Cutco. In 1981, Vector Marketing was founded to be one of those independent sellers. From 1981 to 1984 Vector sold way more than all the other independent sellers. In 1985, Cutco Cutlery Corporation (back then it was called Alcas Corporation) bought the company from its owners to replicate Vector’s success across the nation. 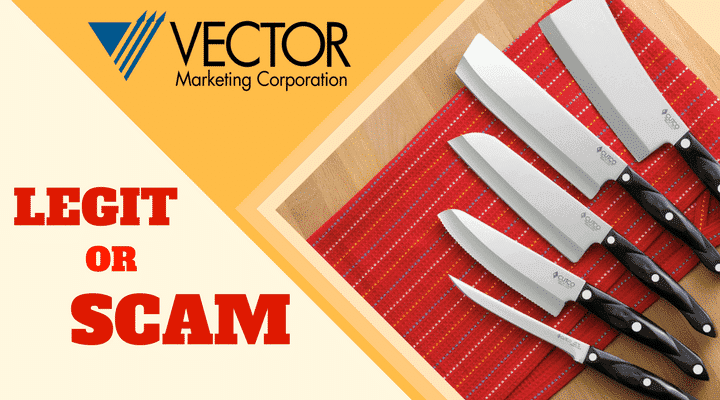 Now, Vector Marketing is the primary seller of Cutco Cutlery Corporation”. The company states: “Our home office is in Olean, New York, and we have over 250 year-round, independently run locations throughout the United States, Canada, and Puerto Rico. Plus, we have over 300 more temporary locations that open each year for our peak summer season”. Cutco draws its name from Cooking Utensils Company. Cutco, established in 1949, is the largest manufacturer of kitchen cutlery in the United States and Canada. Its range includes everyday and specialized kitchen equipment including knives and utensils, shears, flatware, cookware and sporting knives. “More than 600 employees work at Cutco’s factory and administrative headquarters in Olean, New York. Cutco products are sold through in-home sales demonstrations, at local events, Cutco retail locations and online,” states the company’s website. Vector Marketing is the only company endorsed by Cutco Cultery Corporation for this purpose. Indeed, the only other company endorsed by Cutco on its website is Ka-Bar, manufacturers of knives. Despite people screaming hoarse from their rooftops that Vector Marketing is scam, Cutco Cutlery Corporation continues to endorse its in-home marketer. Nor has Cutco issued a statement disowning Vector Marketing. Au contraire, the ‘Become A Representative’ link on Cutco’s corporate website leads jobs seekers to Vector Marketing. In fact some websites call Cutco Cutlery Corporation and Vector Marketing as the world’s most renowned Multi Level Marketing (MLM) or direct marketing companies. Obviously, the above facts prove that neither Cutco Cutlery Corporation nor Vector Marketing is frauds or scammers. Indeed, they are two are billed as America’s leading Multi Level Marketing (MLM) companies. Cutco’s products meet and exceed all American and international standards of manufacture and quality. Indeed, Cutco products are also available online at global majors including Amazon. It is worth mentioning that Amazon does not sell products that do not meet its strict quality and standards policies. This is what Vector Marketing’s website says: “For many people who come through our doors, working here is the first real job they’ve ever had. Not to worry; take comfort in the fact that our managers are trained to help you from day one. Learning how to effectively communicate an idea is an important skill to develop, regardless of your chosen career. So even if your sales experience is limited to elementary school fundraisers, don’t sweat it. During initial training, we teach you everything you need to know to get you started on the right foot. By the time you’re done, you will be confident and well-prepared to start working. The skills you will learn and the mindset you will develop will stay with you for your entire life, wherever your path leads you. Here we reproduce what Vector Marketing’s website states: Our reps receive a guaranteed base pay when they show Cutco to a qualified potential customer. So they get paid whether or not the customer purchases. Our reps are not pushy, and we don’t want them to be. The guaranteed base pay takes the pressure off our reps so they never have to be rude or forceful with potential customers. Great question. Since most people who see Cutco choose to purchase at least one knife, we can create a safety net for all of our reps.
We want to encourage and provide incentives to our reps to put themselves out there and try to make a sale. You’re not always going to make a sale with a potential customer, and that’s ok. While our reps are guaranteed to make a base pay each time they show Cutco, they can earn more than what’s guaranteed through incentives from completing a sale. Additionally, we pay on a weekly basis, so you’ll receive earnings for your hard work at the end of each work week. It is very possible for reps to do well right out of the gate, but success is not guaranteed. We are definitely not a “get-rich-quick” company and we take pride in our reps for being the hard-working and motivated individuals that they are. Successful reps tend to share a few common traits: persistence, diligence, and commitment. Obviously, Vector Marketing’s choice of words leaves a lot to be desired. Apparently, the company has not taken into consideration that it needs to pay those who undergo its “initial training” offered free. Secondly, Vector Marketing seems to have conveniently skipped the term ‘Multi Level Marketing’ or ‘Network Marketing’. Instead, the company’s announcements, as we see earlier, look more like a job offer. Network Marketing/ Associate Marketing/ Multi Level Marketing are not jobs. Indeed, they are better classified as self employment or small business. As a result of these two vagaries, Vector Marketing got into serious trouble with US laws. Hence the negative publicity that goes under the brand ‘Vector Marketing Scam’. Posts in a forum on indeed.com, a popular job portal make it clear that most jobseekers at Vector Marketing were unaware it is a MLM firm. Allegations made against the company appear false in most cases. Such Vector Marketing scam really damaged the brand value for particular value. Made to pay for merchandise/ demonstration goods: This is a common practice of all MLM companies around the world. Direct marketers are never issued free samples. Go door-to-door for sales: Network marketing does not operate door-to-door. Instead, it is through your contacts and friends. Pushy sales: Cutco is a brand reputed globally. Major e-retailers and stores stock Cutco products. Hence, it is highly unlikely that a company of such repute would actually require college students to push customers to buy. Insufficient payment: MLM companies never pay their associates. They are entitled only to profits, commissions and incentives on confirmed sales. On the contrary, Cutco and Vector Marketing were paying weekly allowances/ stipends to its sales force. Unpaid training: This is a serious lapse on part of Cutco/ Vector Marketing since they failed to mention that MLM training does not qualify for any stipend or pay. Rejection of candidates: This charge is rather unjustified. Every company/ employer reserves the right to employ candidates their officials deem are suited for a job. Rejection by a company does not form basis of a scam. Admittedly, some Vector Marketing officials could have been more tacit but charges of being brash to jobseekers seem more like personal vendetta than real. A lot of trainees could have allegedly sued Vector Marketing merely to make a quick buck. Suing a company in the US is fairly easy as any lawyer will tell you. Jobs: Again, this is the wrong term used by Vector Marketing to describe offers to become MLM associates. The word ‘job’ is governed renders a company prone to lawsuits under labor and employment laws of the US. Vector Marketing was found guilty in class action cases for violation of employment rules in the US states of California, New York, Florida, Illinois and Michigan. The case was resolved by a court under the Fair Labor Standards Act of the US. The case, filed before a California court saw former Cutco/ Vector Marketing MLM associates win US$6.75 million as unpaid wages and incidental costs incurred for the training. The company paid up the amount. Definitely not! Instead, Vector Marketing and its principles, Cutco Cutlery Corporation are respected business houses of the US and have impeccable worldwide reputation. 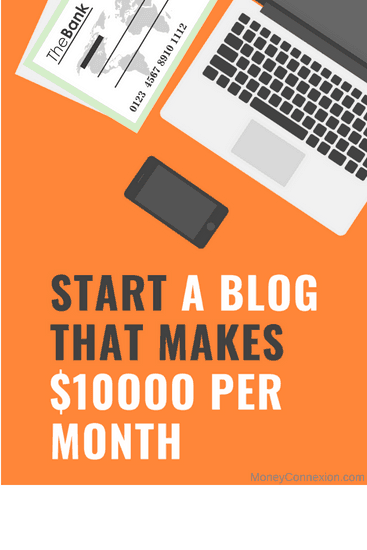 The term Vector Marketing Scam arose out of reasons explained earlier in this article. Hence, if you are looking at becoming an MLM associate at Vector Marketing, do not hesitate to sign up. Cutco makes some of the best cutlery in the world and its products are in high demand. However, as the company forewarns, MLM sales are not everybody’s cup of tea. Thanks for the email. And me am in Uganda can I join and am a teacher but wanted to get a better life what can I do …nice time.